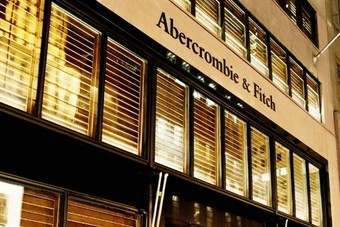 Teen apparel retailer Abercrombie & Fitch is to shutter all of its standalone Gilly Hicks stores by the end of the first quarter of fiscal 2014, as part of a restructuring of the intimate apparel brand. The company, which operates 20 Gilly Hicks stores in the US and eight overseas, said the store closures in Europe are subject to applicable notice and consultation provisions. Chairman and CEO Mike Jeffries said Abercrombie & Fitch will continue to sell Gilly Hicks branded intimate apparel through its Hollister stores following a successful pilot, as well as through its direct-to-consumer business. "We believe it is critical to focus our efforts and resources where we have the greatest opportunities to drive profitable growth for our brands," he said. Commenting on the impact on jobs, a spokesperson for Abercrombie & Fitch said: "There will be a reduction in headcount, but we will strive to identify ongoing positions in order to retain as many associates as possible, either directly on intimates, or within our other brands." The company expects to incur pre-tax charges of around $90m, including $40m in non-cash impairment charges and $50m in lease-related, severance and other charges. These charges will be substantially recognised in the third and fourth quarters of fiscal 2013 and the first quarter of fiscal 2014. The move comes as the retailer said third-quarter sales fell 12% to $1.03bn, from $1.17bn in the same period last year. Total comparable sales, including direct-to-consumer sales, fell 14% with comparable US sales down 14% and comparable international sales decreasing 15%. "Our results for the third quarter reflect continued top-line challenges, with overall spending among younger consumers remaining weak," Jeffries added. "Until we have seen a clear trend improvement, we are continuing to take a cautious approach into the fourth quarter and are working to end the year with appropriate levels of fall carryover inventory." Excluding charges related to the restructuring of Gilly Hicks, the company expects third-quarter adjusted earnings per share to be at the higher end of its previously guided $0.40-0.45 range. For the full-year it expects adjusted earnings per share to be $1.40-1.50, assuming a low double-digit decline in fourth-quarter comparable sales.